I made it with one minute to spare last week to get the Friday Five in on a Friday. I didn't make it at all this week so it's now Saturday. But we'll just let that fact skim past eh? 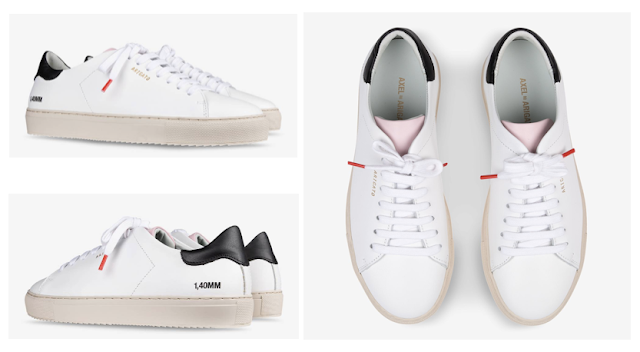 My current trainer obsession. I love these. Look at that pink tongue! Look at those red lace tips! Look at that black heel trim! Not too fancy. But fancy enough. That's all. Crispy chilli beef for me! Sometimes I make a chicken fried rice and I find I struggle with frying all the rice in the wok - there's just too much stuff to push around and bits end up flying out. I never said I was a good cook and I've always said I disliked cooking so any shortcuts I can take, I will. What I now tend to do is fry the meat and the egg in the wok. In a big mixing bowl, I put my cooked rice in there and season and flavour. Then I add the chicken and bits from the wok in to the bowl, mix it all up and then return to the wok and you can do it in two batches but at least everything is more well mixed. It's a takeaway hack. It's just easier than trying to mix it ALL in the wok. Or you could just get a takeaway. Friday/Saturday Five (3 of 5) The Future's Bright, The Future's Orange. I know everyone is touting yellow and coral but I quite like orange. I was browsing idly on the MiH site as I like to get the general vibe for what they're doing each season and I kind of got hit with the orange stick message they were delivering. 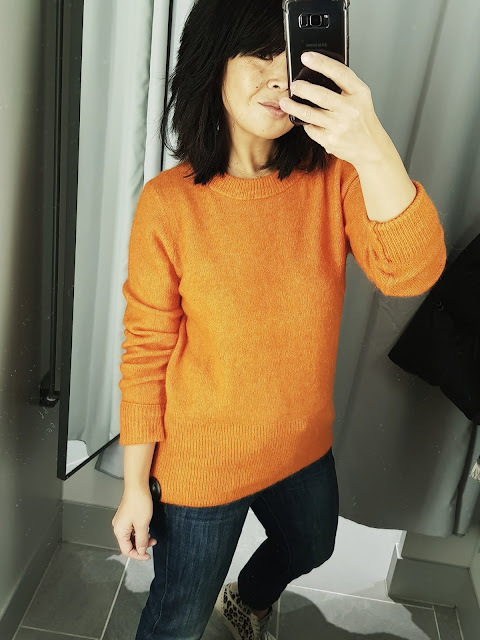 So when I walked into H&M and I came face to face with a bright orange jumper, in fact that nice bright orange jumper up there, I had to try it on (by the way, it's true to size). It's a wool, alpaca mix and though I know everyone is tiring of jumpers and the suchlike, this doesn't actually feel too wintery. It's quite light and feels nice and cheery and to be honest, right now, we need nice and cheery. Sezane L.A.Superbe Sweatshirt sold out. 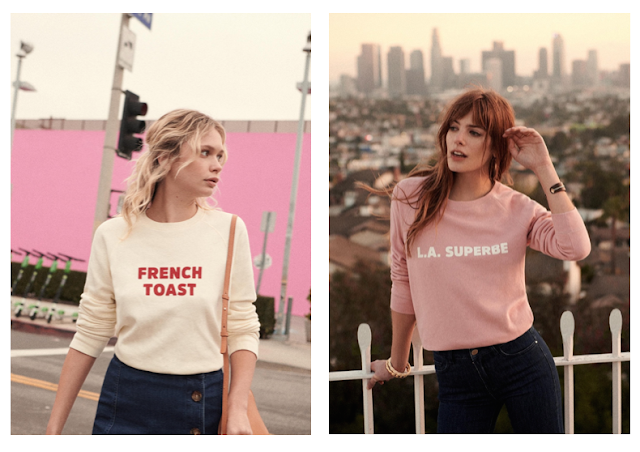 I coveted the Sezane/Madewell collaboration a few years back when they did the La Superbe sweatshirts but they were only available in the US at the time so I kind of let that one pass me by painfully. Then I spotted that Sezane were doing them again but this time in pink - a lovely soft pink. I ordered at one minute past ten on the Sunday morning that they were released at 10am. I am nothing if not dedicated. It came and I opened the box and I did all the heart eyes and then I put it on and I thought "Not that La Superbe!" Hmmm. So I went and ordered the other one I'd held off ordering as I knew I needed to get the pink one out of my system first (every year, you can go through all my old posts in January and you will know I get a "pink twitch"). So now I'm French Toast and not La Superbe. Look how clean the mirrors are! Primark. Err, Primark kids changing rooms to be more precise. In the womens changing rooms, I do think the curtains could sometimes do with a wash because how does lipstick and foundation get on them like they do? Do people kiss and make out with the curtains or something. Weirdos. However, if you go in to the kids changing rooms - they're pristine because I basically think kids don't try things on unless forced to kicking and screaming (just mine eh?). I was directed in to them as I was trying on some mens jeans and the kids and the mens changing rooms are placed together. I asked the assistant if I needed to go downstairs to use the ladies changing rooms and after pondering, she directed me in to the kids changing rooms. And when I went in, I was struck by how clean they were so credit where it's due. And I was trying on mens jeans as I was buying them for my eldest son - we're roughly the same size currently and if they fit me, they fit him. Told you kids don't like trying things on. I never normally ask the hubs for an opinion on clothes but I just needed to be sure about the sweatshirts and he actually smiled when I tried on the French Toast one whereas he said the pink one was lost on me and a bit meh. And for once, I agree. 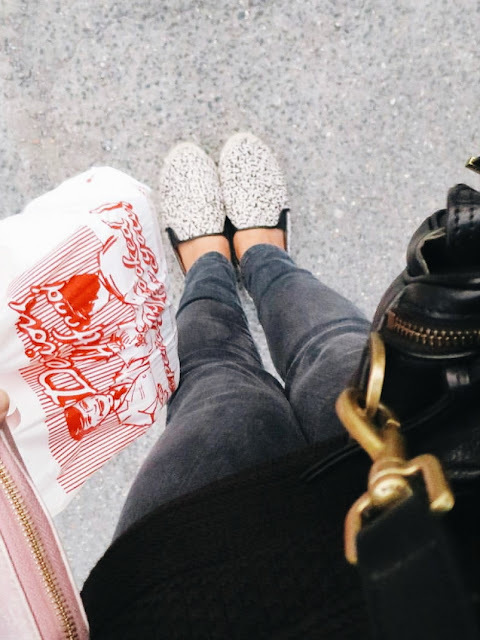 Sorry I keep touting the Gap Girlfriend jeans in all my outfit combos at the moment, its just that I have a new found love for them currently. I now have three pairs. 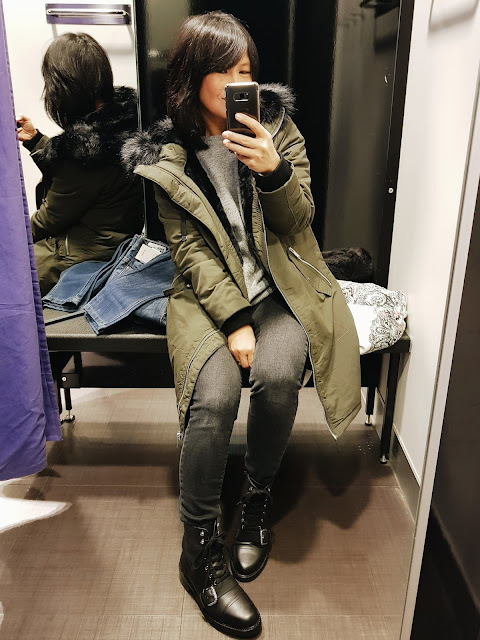 Quick OOTD : 21/02/2019 Too Hot.